An Oklahoma man who gunned down a woman and her 4-year-old daughter in Long Beach in an unprovoked attack was sentenced today to two life prison terms without the chance of parole, and he had to be restrained when he tried to walk out of the courtroom. Brandon Ivan Colbert Jr., 23, tried to get out of his seat and walk out of the Long Beach courtroom as friends of the victims were about to speak, but Los Angeles County sheriff’s deputies pounced on him and forced him to the floor. “You’re going to sit here and listen to them now. Stop it,” Superior Court Judge Jesse I. Rodriguez told Colbert shortly before he tried to rise from his seat. “I want to get out of here … I don’t care about this,” Colbert responded. After Colbert was detained, the hearing had to be delayed while the sheriff’s department conducted a “use of force” investigation and interviewed people in court who saw what happened. Rodriguez subsequently denied Colbert’s request that the rest of the hearing not be recorded by a television news crew. The judge sentenced Colbert to two consecutive terms of life in prison without the possibility of parole for the August 6, 2016 killings of Carina Mancera, 26, and her daughter, Jennabel Anaya. Colbert was also sentenced to another life term for the attempted murder of the girl’s father, Luis Anaya, who was not hit by gunfire, along with 75 years to life for personally discharging a firearm. The judge noted that video evidence showed Colbert passing several adult men, and said Colbert continued his “travels to find the most innocent of victims” and to cause terror, grief and sorrow to a young family and concern and fear throughout a large city. The defendant snapped back at the judge, calling him a coward. Luis Anaya told the defendant that he saw him laughing during the court proceedings, with the prosecutor confirming that Colbert had done so. Another of Mancera’s friends told the judge that having to explain to her daughter what happened to the girl she called her cousin was the hardest thing she has ever had to do. “This is something that will never go away,” she said, noting that she feels like she has lost a big part of her life and doesn’t feel safe any longer. Colbert was convicted a week ago of two counts of first-degree murder and one count of attempted murder. Jurors also found true the special circumstance allegations of murder while lying in wait and multiple murders, along with allegations that he personally discharged a firearm. Authorities said he hid behind a sign and opened fire on the family with a shotgun. 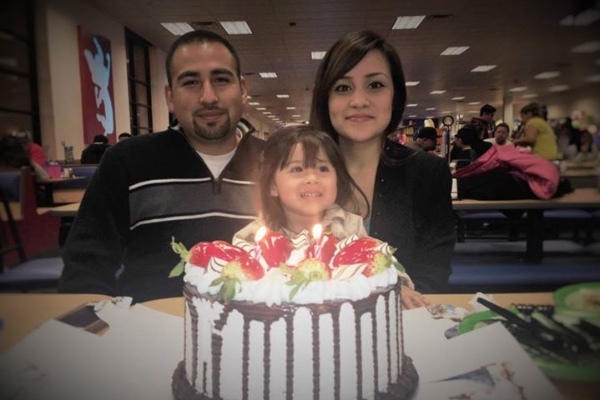 Mancera and her daughter were gunned down near Ninth Street and Locust Avenue about 10:20PM August 6, 2016, as the family was returning home from grocery shopping. The gunman also fired at Anaya, but missed, according to police. Long Beach police Chief Robert Luna said Colbert was arrested about three weeks after the killings by Los Angeles police on suspicion of driving a stolen vehicle. A DNA swab was obtained from him, ultimately linking him to the killings, for which he was arrested in November. The surviving victim told investigators that a man walked up to his longtime girlfriend and their daughter and suddenly—without provocation—opened fire, then ran off. He said he did not recognize the man, nor did anyone else in the neighborhood. Colbert acted as his own attorney during the trial. He spent time in a state mental hospital after he was found mentally incompetent to stand trial, but criminal proceedings were reinstated last October after authorities determined that his mental competency had been restored.